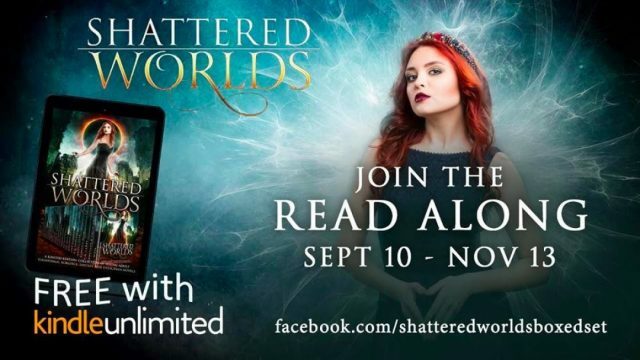 Join the authors of Shattered Worlds for a read along! After the authors of the Shattered Worlds Boxed Set hit the USA Today bestseller list and enrolled their compilation of 20+ exclusive stories into Kindle Unlimited, they came up with a wild, never-been-done-before idea: To connect with their readers and fans in a two-month long Facebook Read Along featuring each book in the set. This epic party runs from September 10th to November 13th, 2017. They kick off the party on September 10th with a day of teasers and fun. Then, starting September 11th, each author will have three whole days in the Read Along to discuss their story and answer fans’ questions, as well as host games and giveaways. On the final day, November 13th, we’ll host an amazing party to celebrate two months of pure bibliophilism, exclusive swag, and shenanigans! Also, Shattered Worlds is now available FOR FREE on Kindle Unlimited. You can grab a copy here! I am more excited for this read along than I’ve been for any online event in a long time. That’s why I’m inviting everyone to join me and help make this the biggest group Read Along ever!!! This unique Young Adult/New Adult collection, inspired by the creative minds of twenty-two USA Today and international bestselling authors, promises to satisfy your cravings for action and adventure as you experience rune magic and time-travel, overthrow corrupt governments, meet reapers and aliens, battle dragons, fall hopelessly in love, and break ancient curses, right alongside some of the bravest characters in fantasy fiction! Every warrior has his weakness. His demons. His trials. His story. The mortal kingdoms are falling. An ancient Curse creeps closer. From the shadows, a dark Queen watches, waiting to mobilize her army. And the fate of the realm rests in the hands of one rebellious mortal girl . . .
Thirteen years after the government fails to avert a global disaster, Abigail Park and her family emerge from their underground bunker to discover the world isn’t as safe as they had hoped. 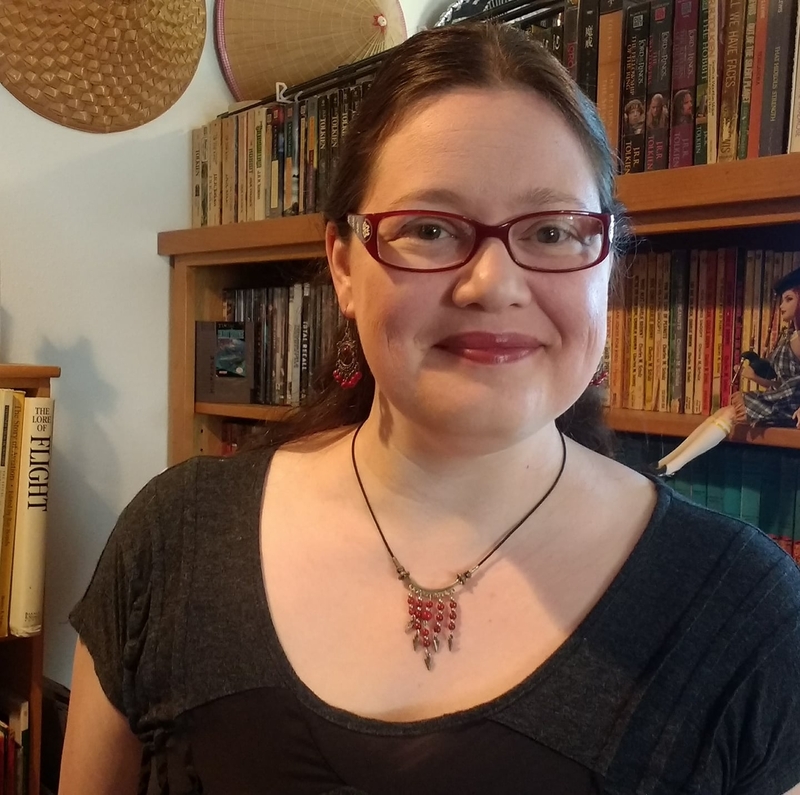 Destined to slay dragons, Julianna embarks on a war centuries old. With her magic goblin sword in hand and a dragon in her sights, the world as she knows it will never be the same. Even Reapers are prone to humanity. One dance, one touch, one kiss… Is all it took to change the fate of the world. FML is becoming Katia’s motto for senior year. Things couldn’t get any worse, or so she thought. What if you really can fall in love with the man of your dreams..? Cami finds herself torn between two men, two centuries, and two very different futures. From a modern day New England high school to the Caribbean Islands, The Pirate Episode is a romantic adventure that proves love knows no time. When the Mistress of Death discovers that hearts never truly die. She always knew this day would come, the day she faced the Scourge alone. Iris lives in a colorless world… until the nightmares begin. Win the war. Go home. If only it were that easy. Can a human meant for the deep blue sea, and a merman determined to leave his heart ashore find a way to be together? All Rich wanted was a girlfriend and a soccer scholarship. What he got was the apocalypse. One girl. One gift. One terrible decision. Okay, magic’s forbidden. But they’re not serious about that death penalty, are they? Want a bonus chance to win a $5 Amazon Gift Card? Comment below with “I’m in.” and the story you are most interested in from the boxed set. Giveaway ends 10/1/17 and is sponsored by me, Arwen McGilvra not Shattered Worlds or any affiliated author. I’m in! I’ve already read Logan and was IN LOVE with it. Next up will be Curse Breaker!! I’m in! I can’t wait for Logan, Curse Breaker, the Sounds it Silence and ARV-3 especially!! I’m in and I’m so in love with Curse Breaker by Audrey Grey. I am in (thought I already signed up but can’t find it) Looking forward to is Rift. Ana, you are the winner! I’ll be emailing you shortly to confirm your details. I’m In!! ARV-3 is the story I really want. I’m in! Looking at Slayer for my next read!